Catiroc 1 is a 16-channel front-end ASIC designed to readout photomultiplier tubes (PMTs) in large scale applications such as water Cerenkov experiments. 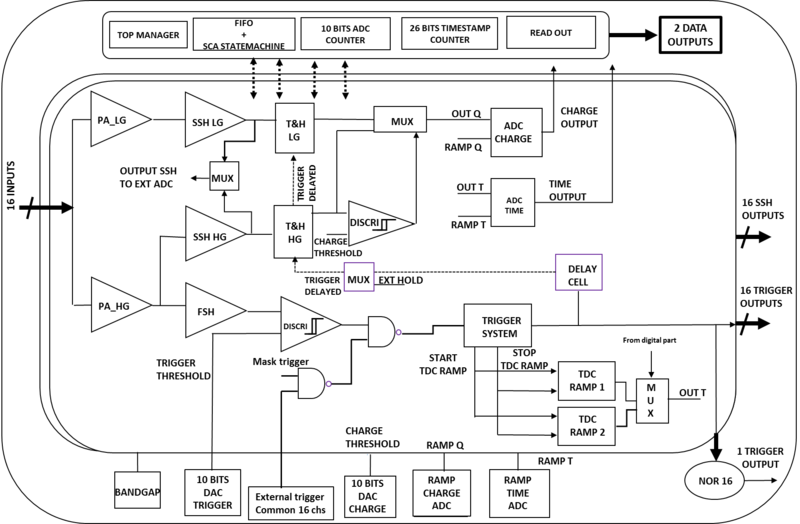 The concept of the ASIC is to combine an auto-trigger chip to 16 PMTs to obtain an autonomous macro-cell for large area of detection. An adjustment of the gain of each channel compensates for the gain variation of the PMTs and allows using only one HV cable for the 16 PMTs. In the ASIC, the 16 channels are totally independent. In each channel, the auto-trigger starts the charge and time measurements which are then converted and stored. Only the hit channels are read out by one serialized output. The time measurement is done by a 26-bit counter at 40 MHz for the coarse time and a Time to Amplitude Converter (TAC) for the fine time, giving a resolution of 200ps RMS. The charge measurement is done by a dual gain preamplifier followed by a shaper with variable shaping times (25 ns, 50 ns or 100 ns). 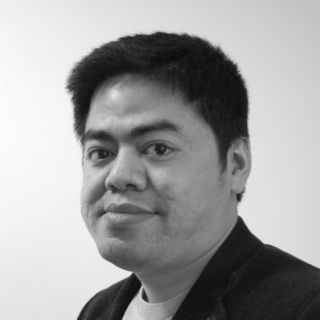 Charge and fine time values are converted by a 10 bit ADC. 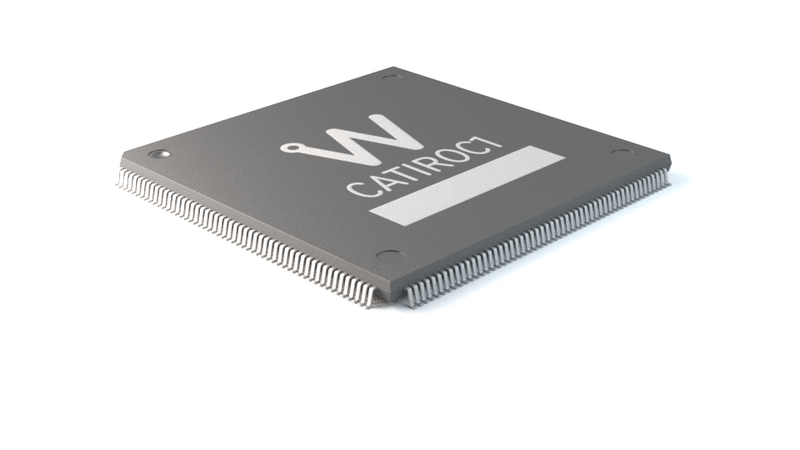 Moreover Catiroc 1 can be used as an analogue front-end ASIC for PMTs. The 16 triggers and 16 shapers output can be used in an application specific optimized front-end board.